Born and raised in Dallas, Texas, Rachel is no stranger to the legal community. Growing up in a family of trial lawyers, including her father, United States District Judge Texas Sam A. Lindsay, she developed a passion for the justice system and involvement in her community early on in her childhood. 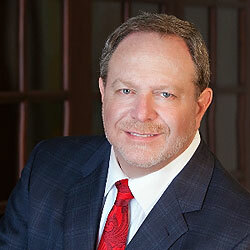 Rachel is "Of Counsel" in the Dallas office of Cooper & Scully, P.C. She represents clients in a broad variety of litigation matters in state and federal court including: local government law, business litigation, personal injury, employment, and insurance. Rachel has experience serving a diverse group of clients ranging from the State Public Defender’s Office in Milwaukee, Wisconsin to professional sports teams. Rachel’s clients appreciate her excellent research skills, persuasive writing, and effective communication. Prior to joining Cooper and Scully, Rachel was a legislative intern for Texas Senator Royce West. 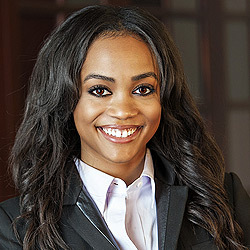 She also interned with the Milwaukee Bucks, where she received diverse experience regarding labor disputes and worker’s compensation claims for retired athletes. Rachel’s accomplishments and exuberant personality led her to be selected, out of thousands of women, to be a contestant on the 21st season of The Bachelor. An early fan-favorite, her smile and laid-back Southern charm quickly captured the hearts of millions, and she became the first African-American lead for ABC’s The Bachelor franchise as the The Bachelorette. Rachel is a member of the J.L. Turner Legal Association, American Inns of Court—Patrick E. Higginbotham Chapter, Dallas Bar Association, and Dallas Association of Young Lawyers. Rachel is a volunteer for the Beacon Hill Preparatory Institute, where she tutors high school students in reading, writing, and SAT prep. Additionally, Rachel is actively involved with her church, Concord Church of Dallas. When she’s not in the courtroom, Rachel enjoys attending sporting events, listening to music, dancing, exercising, reading and creative writing, spending time with her family, fiancée, and her dog, Copper.